Will McRobb, why do you torture us so? Why would you write an episode like “Splashdown!” and then air it in October, long after all sunny days were over and public pools were closed? Moreover, why do I have to review this episode in March—albeit an unseasonably warm March—when my legs are pasty and summer is just out of reach? 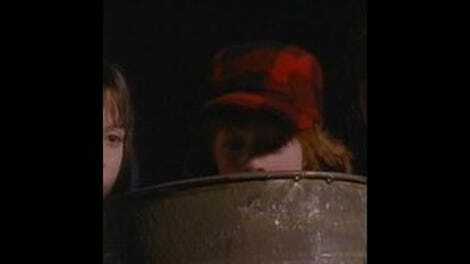 Just this once, though, we’ll let this Adventures Of Pete And Pete torture slide, as “Splashdown!” (don’t forget the exclamation point!) is a really, really good episode. Not only is the dialogue on point, but the story is a classic Nickelodeon-grade, “kids have rights too” number. Adults may try to harness the public pool for their own purposes for one hour a day, but screw them! Kids don’t get to drive, vote, or have super-awesome full-time jobs, so they should get to do underwater handstands whenever they want. Unfortunately, being head lifeguard requires the enforcement of the adult-swim rule which all kids—and in particular Little Pete—find absolutely detestable and try to thwart at every turn. To get his promotion, Big Pete has to dock adult-swim offenders, including his brother. Three dockings means the offender is banned from the pool for the whole summer, and that’s a cruel and unjust punishment, especially for a school-hating, high-dive-loving kid. Big shock, but Little Pete gets two dockings in two days and then goes for number three with flair and an atomic can opener. Big Pete, now aware that a fancy chair isn’t worth selling out his brother and kids everywhere, responds with a particularly impressive cannonball. Don joins in and all the sudden all adults have remembered what it’s like to be a kid and adult swim is kaput forever. Throw in the discovery that Uplinger is the Urinator, a person who’s been tormenting the pool with their pee, and all is right in Wellsville once again. I haven’t made a TV show. I haven’t been an extra or written a script. I don’t know what life on a set is like, but I have to guess—or hope, at least—that making “Splashdown!” was at least a little fun. Floating around in the sun all day seems relaxing, as long as it was actually warm on the days of the shoot. Taking funny jump after funny jump off a diving board seems like a blast, too, especially when Pete And Pete’s cast is made up of so many kids and hammy adults. It might have been hell to do, but at least it seems fun. That perception matters big time, I think. As I get older and more jaded, I’m finding myself neck-deep in popular culture, and not just because of this job. Every show on TV is something that “everyone” is watching and that I “have” to see. I “have” to listen to every record to stay current, too. It’s exhausting, though, and while I’m not the most positive person or chock full of cheerleader personality, if it’s obvious that something wasn’t fun to make, then I’m not going to have fun watching it. It’s why shows like Pete and Parks And Recreation work for me, because there’s a genuine sense of glee that rumbles through the whole idea. It’s why Mumford & Sons, while not the best band in the world by any means, are a band I like a lot right now, because they’re out there on the road having fun and not absolutely hating what they’re doing. What fun is it to see a band stumble out on stage and drag through some songs, even if life on the road is hard? If you don’t like doing something, don’t do it, right? That’s easier said than done, obviously, but thankfully for all us fans, Pete And Pete’s cast and crew actually like each other a lot. This was evident at the NYC reunion, but they keep in touch, keep souvenirs, and keep good memories in their hearts and brains. I think that’s what’s helped fans stay connected with the show to this day. It wasn’t just phoned in. It was made consciously and with love. That comes through on the screen all these years later, even if only in a single atomic can opener. Little Pete dressed as the old lady is damn near perfect. I’m sure Danny Tamberelli must have loved that. Big Pete tells Lindy he likes swimming at night because the water seems “more slippery somehow.” Weird, but I totally concur. I always thought Matt Uplinger was older. 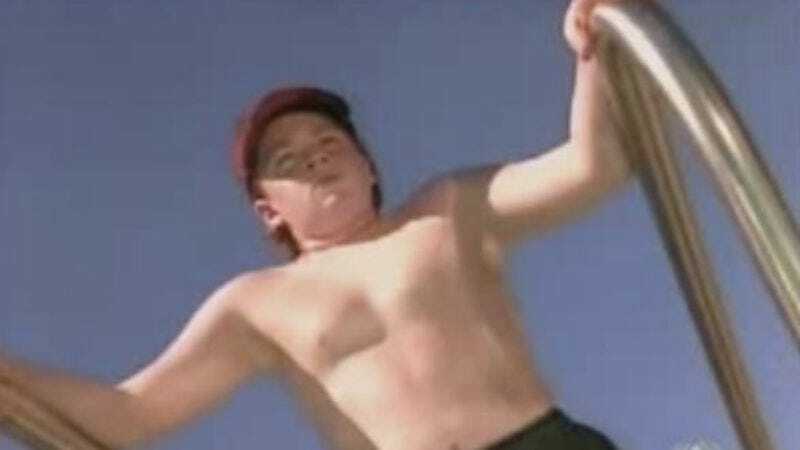 I must have seen him as an adult when I was a kid—like Ug Lee on Salute Your Shorts—but in actuality that kid was probably like 17 when “Splashdown!” was filmed. Maris Hudson is really good in this episode as Monica the Krebscout. The way she calls Big Pete “condor” is hilarious, as is her Law & Order-like proficiency at solving the Urinator case.